God is calling us to righteousness. God is calling us to change our relationship with Him. We cannot earn righteousness. God gives us the gift of righteousness. 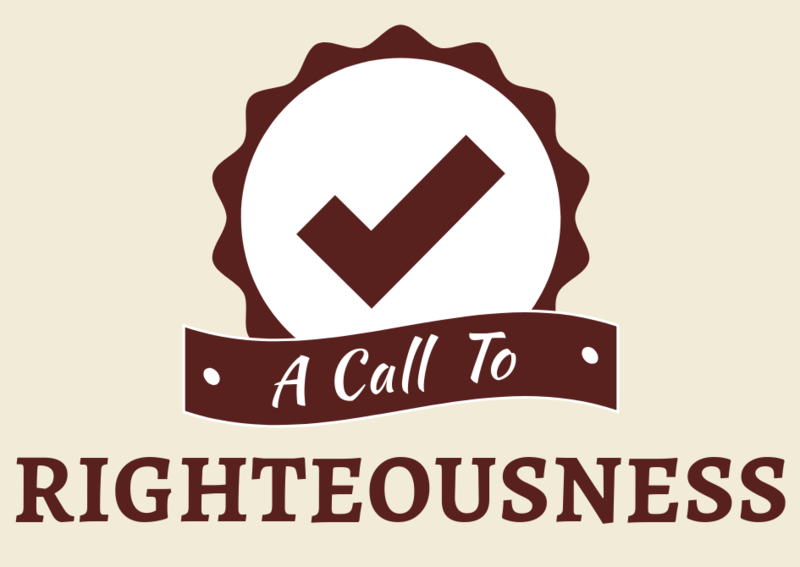 God is calling us to righteousness and to serve a righteous cause. Righteousness determines the motivation for why we do what we do. When our relationship with God is right we have a standard of righteousness. Subtitle: Why is God calling us to righteousness? God is calling us to righteousness because He loves the world. If we are not righteous, then we will judge those God sent us to restore. God loves those who He sent His only begotten son to die for (includes everybody). The Holy Spirit has qualified us to represent Him. We have received the gift of righteousness. Righteousness cannot be bought or earned, it is a gift received from God. a) Because of the gift of righteousness, we know how much God loves His people. b) Because of the gift of righteousness, we know the mercy of God. c) Because of the gift of righteousness, we know the grace of God.